Many conferences have early bird pricing so it is worth checking out the events that interest you as soon as you can in case you need to get corporate funding to attend. If you are looking to attend a project management conference in 2018, chances are there is something happening near you that will be fun and meet your professional goals. I’ve compiled this extensive list of conferences both local to me in the UK and around the world. Use this quick link menu below (on the main full article page) to jump to the relevant portion of the year. Make sure you sign up for the free Attend a Conference Checklist before you go to any of these events. It will show you everything that you need to do before, during and after a conference to maximise your return on investment and benefits from attending. Scroll to the bottom and enter your email to sign up for the checklist. This inaugural conference will bring together project managers from all over Europe to discuss using PM² and rolling-out the PM² Methodology in their organisations. The first day will be filled with keynote and presentations and the second day will offer 15 PM² training sessions. There is no entrance fee for this event but you must apply by 15 January 2018 in order to attend. This year’s RICS project management conference has the theme ‘Remaining Lean and Agile in a Changing Work Environment’. I’m not sure if they are partnering with the APM as in previous years but the agenda is already up on the site and looks interesting. Crossrail project leaders are in high demand for speaking engagements! If you work in property (RICS is the Royal Institute of Chartered Surveyors, but I don’t think they are known by that name today) then this is a great conference to get some specialist insight into the challenges of that industry. The PMI Sweden is an event with inspiring speakers, professional colleagues, and companies in different sectors gathered with the goal of sharing their knowledge and experience in project, portfolio, and programme management. It will be held at the Swedish Exhibition & Congress Centre and Gothia Towers. The theme this year is “Disrupt or Disappear: Connect, Innovate & Transform.” The Symposium will highlight strategic project management for better business results, economy outlook and industry performance, and ensuring career growth in challenging environments. It will be held at the Marina Bay Sands – Sands Expo and Conference Center. This conference has two sessions this year. Look below for the details of the October Gathering in London. The focus will be taking Agile to the next level in your organization. There is a good mix of presentations, hands-on workshops and coaching. I’m not an Agile expert by an means but if Scrum is your wheelhouse, this could be a good event to get to. The conference takes place in Latvia, but the official language of the event is English. The theme is “Project Management Development – Practice and Perspectives.” Its focus is on discussing scientific research related to project management issues and to encourage networking between professionals in the industry. I think events like this are showing how diverse the project management community is. We’ve come a long way since Henry Gantt. 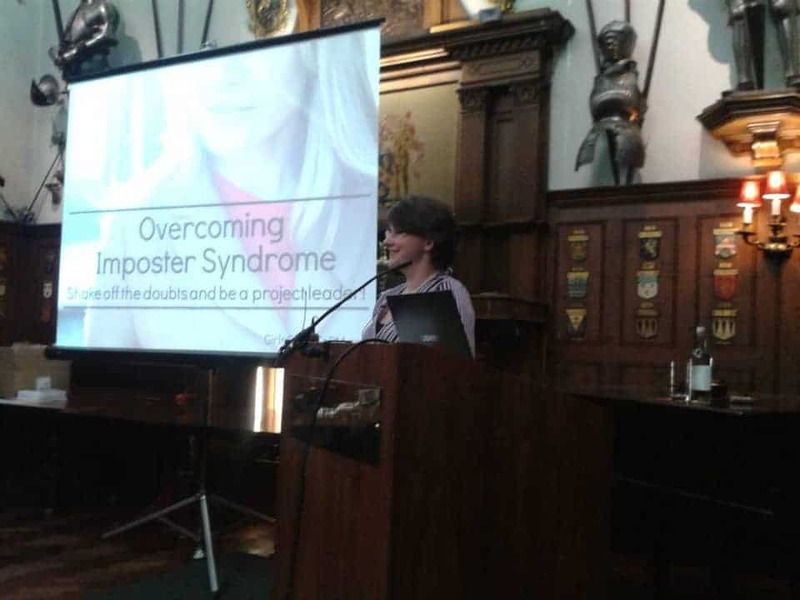 APM is always an exceptional event and I’ve spoken at it in the past (You can read my write up of the 2016 conference here). This year’s theme is “Future Proof: Inspiring Today’s Profession for Tomorrow’s Challenges.” The conference will look at how project managers can adapt their practices to ensure that they continue to deliver success. It is being held at the Westminster Park Plaza in London right near the London Eye. You do not need to be a member of APM to attend. Three days of professional development with hundreds of project, programme, and portfolio managers from around the world. Daily themes will include global trends and shifts in the industry. This conference will take place in Berlin. Two years ago the PMI EMEA Congress was in Barcelona. You can get a feel for what the event is like by watching my video diary from my time there in 2016. The Agile and Beyond conference is completely volunteer-driven and devoted to Agile and product development. Now in it’s fifth year it will take place at the Eagle Crest Conference and Event Center. The schedule is not out yet for this year, but you can look at previous year’s schedules to get an idea of what will be presented. They host over 100 sessions in a two day period. This conference always sells out. At the time of writing, the dates for this year’s conference aren’t yet announced, although I did bump into convenor Steve Wake recently so I know he’s already planning it. This year marks its 23rd year (yes, really!). It’s one of the longest running conferences that I know of. They always offer a wide variety of talks – it isn’t just about earned value. It always has a unique feel to it and the team make it very entertaining. There is even a candlelit dinner. It normally takes place at the beautiful Armourers’ Hall near Moorgate station. Billed as the premier project management conference in Australia, PMI Australia it will be hosted at the Crowne Melbourne. This year’s theme is “Diversity – Performing – Wellbeing” It will focus on diversity and inclusion in the workplace, the three parameters of a successful project, and ways to maintain your wellbeing. Visit Boston University for the Twelfth Annual Project Management in Practice Conference—for project management newcomers as well as certified practitioners. Two days of exciting presentations on topics ranging from agile project management to strategic project management, underscoring soft skills and behavioral competency. The 2 day event offers free breakfast and lunch. Get $25 off your registration with coupon code 25TERRIER. The co-founder of Agile, Dr. Sutherland, is giving a talk on scaling scrum and there are many workshops to attend. 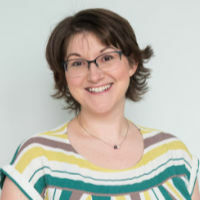 Completely focused on all things PMO, this one day event features expert speakers, an exhibition with PMO products and services, plus the change to connect with other professionals in the industry. This is one 2018 conference I hope to be attending and although the programme isn’t yet published I know who the keynote speaker is and it is going to be AWESOME! This year’s event is being held at the Marriott Marquis San Diego. The Agile conference is dedicated to furthering Agile principles and offering a venue for people and ideas to meet and grow. There will be attendees from over 40 countries in attendance. The Digital PM Summit is one of the best organised and most welcoming events I have ever attended. They made being a speaker and delegate so easy, and the atmosphere was very friendly. This is a good event to go to if you haven’t been to many conferences and are a bit nervous about the networking part of the larger events. Plus this year it is taking place at the Guesthouse at Graceland for any Elvis fans! I spoke at the DPM Summit in San Antonio in 2016 and you can watch my video diaries from Day 1 and Day 2. The team behind the Digital PM Summit is also hosting a Female Leadership Camp and a Digital PM Camp later in the year. Hosted by the PMI New Zealand Chapter the 2018 event is going to by hosted at Skycity. The theme is “Next Generation – The evolution of Project Management.” It will focus on a project manager’s soft skills and personal development. There are three tracks to choose from: Next Generation Project Manager, Next Generation Technology and Next Generation Construction. The Future PMO is a day devoted to PMO professionals. This is a fun and unique conference that brings together experts across many industries to learn from each other. Network and meet with your peers, attend the keynote and morning sessions, and in the afternoon attend workshop sessions. It is being held at the Novotel London West which is just a 3-minute walk from the Hammersmith Underground Station. Stephen Carver, a senior lecturer at Cranfield is giving the keynote. 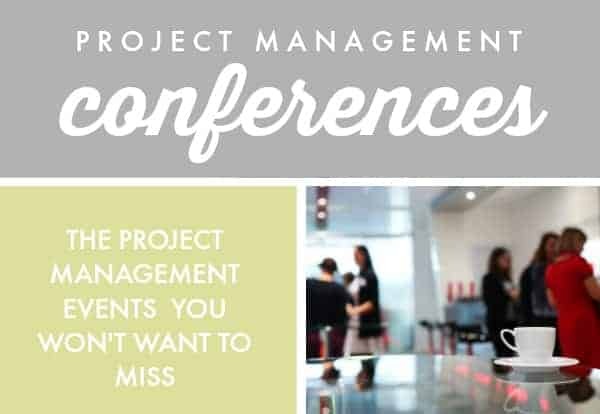 The Australian Institute of Project Management has their annual conference in Sydney at the iconic Hyatt Regency on Darling Harbour this year. The theme is People, Precision, Performance. The conference is a combination of keynotes, workshops, breakout sessions, and networking functions, including a visit to Madame Tussauds! The London version of this event is to be held at ExCel London in the heart of London’s historic Royal Docks. This is an levels conference. There are four themes: Creating Better Leaders, Creating Better Product Owners, Creating Better ScrumMasters, and Creating Better Teams. It is three full days of keynotes and break out sessions geared to Agile professionals. The theme for this one is Mastering Value Delivery. This four day conference will bring together PMO leaders for advanced workshops and networking. You will learn how to set up a resilient PMO. It is set to be held at the Marriott Marquis Washington D.C. It is largest project management event in the region and is fast getting a reputation for being a substantive event. This conference has a number of themes including Project Management Maturity, Artificial Intelligence in Project Management, Managing Cultural Differences, and Smart Mobility Projects. It is taking place at the Madinat Jumeirah about 30 minutes from the Dubai airport. The agenda is full of masterclasses, keynotes, sessions, and technical site visits including to the Burj Khalifa, Dubai Canal, QE2, and Solar Park. The International Research Network on Organizing by Projects (IRNOP) was in Boston last year and travels to Australia for 2018. It’s being hosted at RMIT University. IRNOP 2018 has a theme of “a skilled hand and a cultivated mind.” There is a doctoral symposium on 9 December and the rest of the conference follows 10-12 December. Want easy tips on what to do before, during and after a conference to get the best out of your time? Download my conference checklist: enter your email address in the box below and I will send it to you. Enter your email and the checklist will be sent to you. I am going to Attend smart Grid Conference which will be held in Saudi Arabia where I am representing my organization to share about our projects, products & solutions we offered. could you please advise and share any templates/check lists to present in the event. Sorry, I don’t have checklists for giving conference presentations. Normally the organiser providers guidance on what is expected and what delegates like to see based on prior feedback. Thank you for the list. Will you be attending the Project Conference in Dubai? What a great list of events for which I say: thank you! Thanks for your valuable information on project management conference schedule. But our limitation is financial aspect to participate and learning from these conference. If you have any scope to manage the financial support/sponsor support for participating any one of the project management conference. The project management conference initiatives are highly appreciated.